I'm part of a special blog hop today, a blog hop to say congratulations to Danielle of Neat and Tangled stamps on the arrival of her beautiful baby girl Everly. Congrats Danielle, I'm so happy for you! For my card I didn't do any stamping which is unusual for me, but I did use some of the gorgeous Crystal Clear sequins from Neat and Tangled. I also used some embossing paste on a stencil after colouring the paste with Spun Sugar Distress Ink. To finish off the card I die cut a butterfly from white card stock and vellum, and cut the baby girl sentiment with my Cameo. I coloured one of the baby girl die cuts with the same distress ink I coloured the paste with. The next stop on the hop is the awesome Mary Dawn, I'm sure she has a fantastic card for you to see. 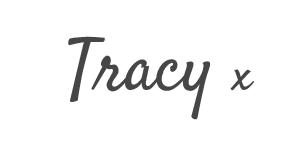 Tracy Ercole - Your here! This is literally breathtaking! Fantastic texture and dimension, but so soft and ethereal! And your photo taking puts mine to shame! OMG, the perfect baby girl card...never knew such a thing existed until now. Lovely. Stunning card, Tracy! I love the mix of the embossing paste background and the vellum. So pretty!